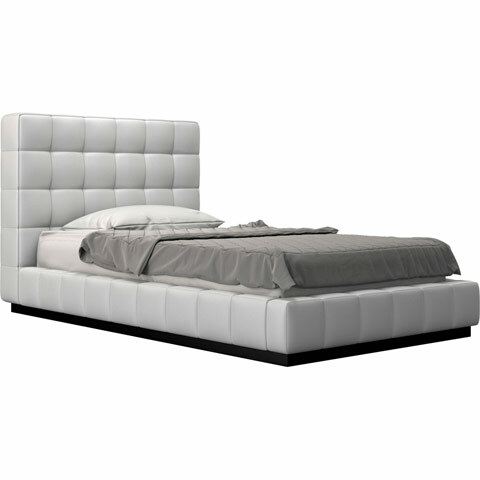 Elegance defines the Thompson Bed with its square tufted upholstery and symmetrical design. Thompson boasts hardwood construction which is neatly concealed beneath dense padding and sleek tufting. Available in a variety of high grade Eco-leather colors. 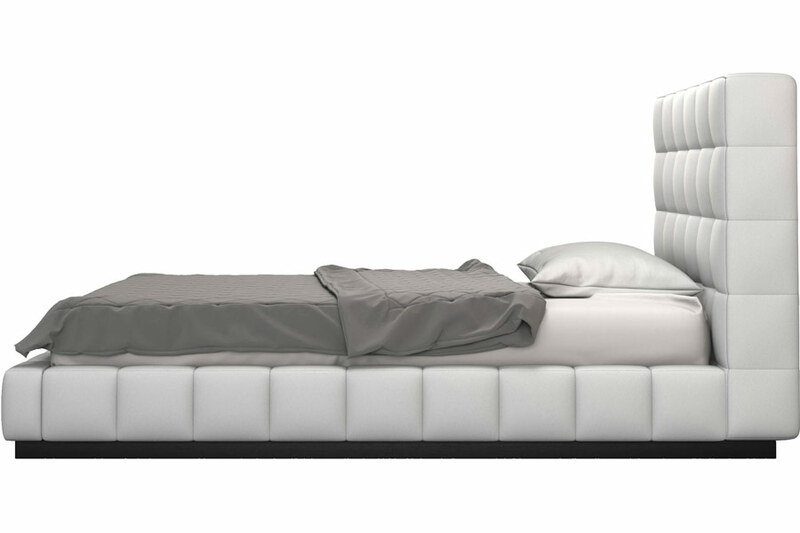 Crafted with a solid pine slat base, Thompson's European-inspired design eliminates the need for a clunky boxspring. 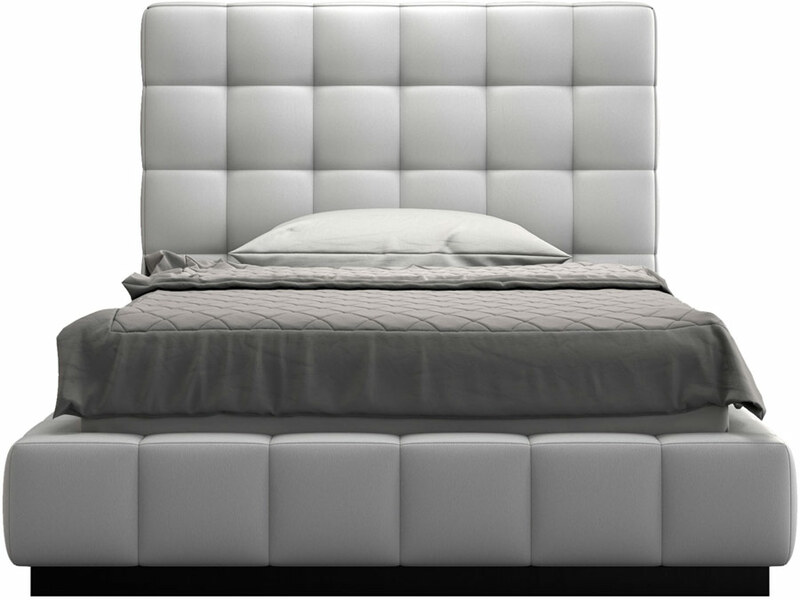 Instead your mattress rests snugly in the frame, offering clean low-profile lines. Platform height measures 11.5-inches with a 2-inch inset. Mattress and bedding not included. 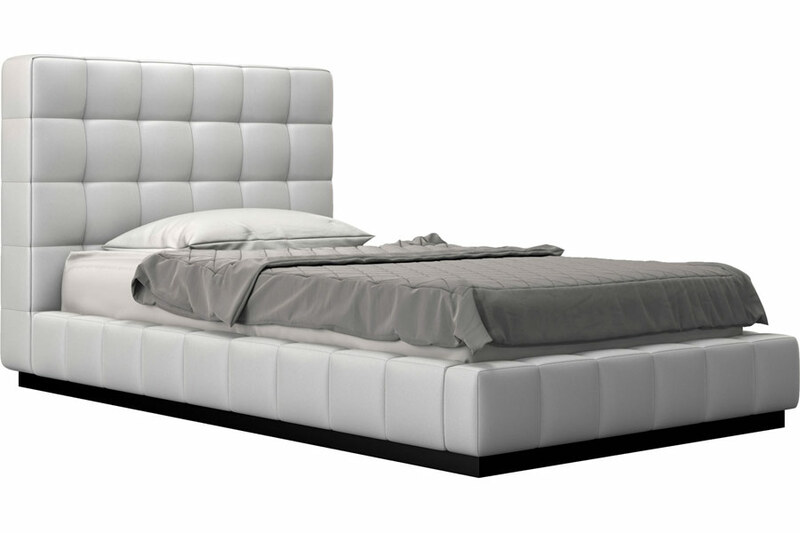 Read why Thompson is one of our favorites if you need a modern platform bed.